I'm sharing this template for golden ratio, original tutorial I followed was for Inkscape which I was previously using before falling in love with Affinity Designer. Original work is from Nick Saporito on youtube. 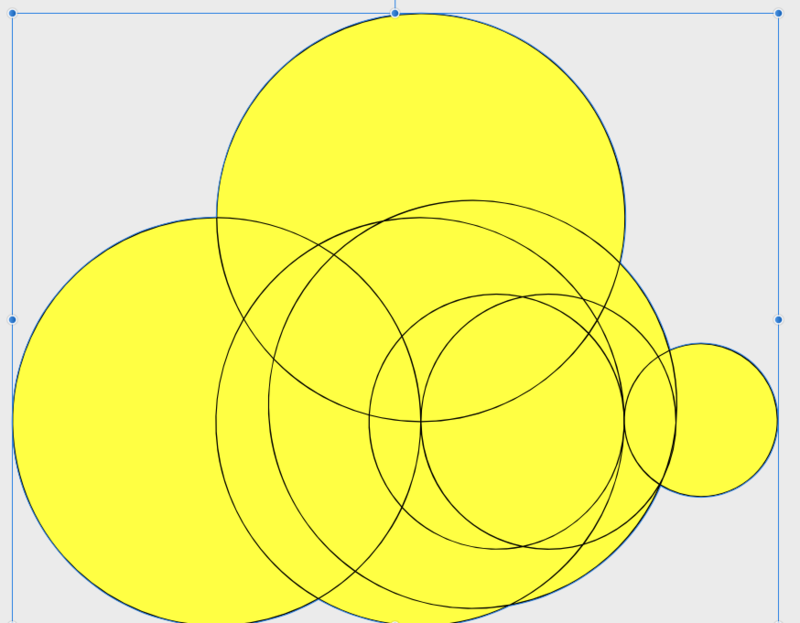 Basically you use the set of "Golden Circles" to create an illustration by intersecting the different sizes of circles. Hope you guys enjoy using it for your own designs! Hello, how is it used? hi, i just saw your reply, you use the 6 circles, the original file was in inkscape (tutorial here by Nick) but you can skip the first parts already since the GOLDEN circles were already made in the template. 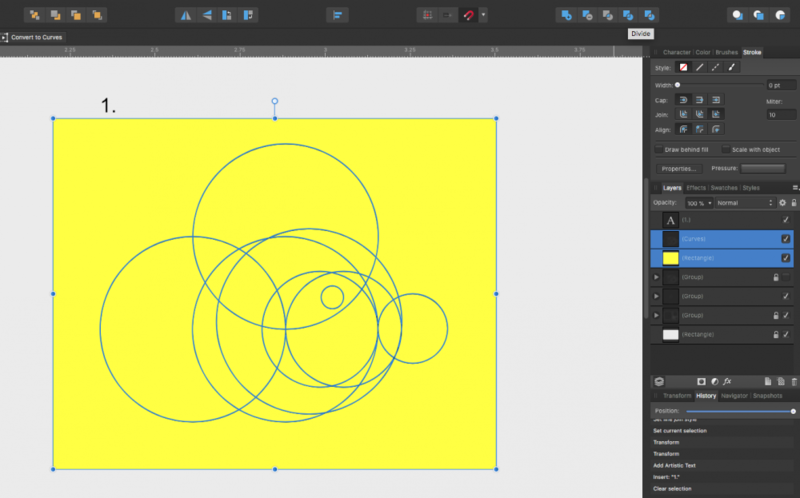 you copy the different sizes of circles and make them intersect to cut/visualize the design. 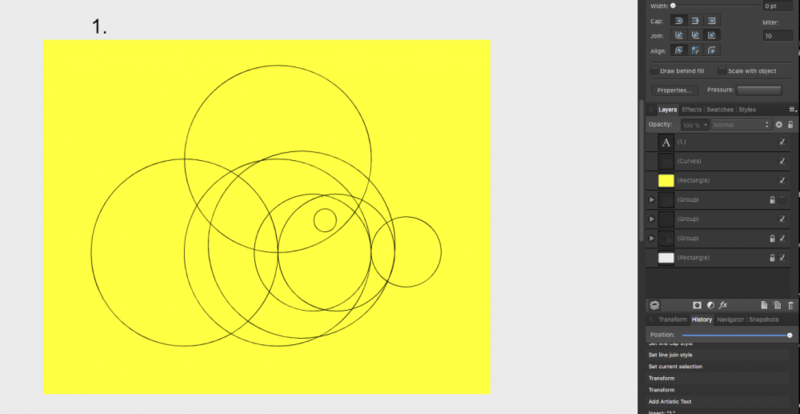 1) draw a circle 100x100px. Repeat this until you have enough circles. here is a useful website for the golden ratio stuff. They also created PhiMatrix plugin ( not sure if they developed it for AP/AD) but used it a lot with photoshop. 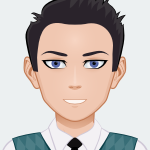 THe only issue i found while trying to do this in AD is when dividing the sections to make them all individual, the divide separates each section on the fill leaving a gap once you delete all the pieces not needed. then when trying to combine them, there's a gap between every piece. Ill include attachments on the process. Here: I added a yellow fill layer behind the lines. 2.. I then selected both to have divided for individual sections. 5. Here's showing the black outlined divide thats creating the separations between shapes. with it on and then off.